Problem: What’s the best way to check on older adults who live alone in your county? Solution: Madera County, Calif. began a program dubbed “Elder Orphans” that places daily calls to senior residents, instructing them to press #1 if they are fine. And the county got its system for free. To quote from that 1965 classic Bob Dylan song, “Like a Rolling Stone,” many in the baby boomer generation will find themselves on their own in coming years. Their population will more than double by the year 2050, to 80 million, according to the Census Bureau. For more information click here or contact Majeski at 559.675-7770. In his letter, he said three neighbors, all living alone, had died in the span of three months. In one case, it took up to two days before the neighbor was found. A second wasn’t discovered for several weeks. The third resident was found in advanced stages of decomposition and her dog also died. The neighbors lived in a mobile home community in the mountains. And with many living in more sparsely populated areas, the Sheriff’s Office was concerned that the problem could get worse. Five years ago, Sheriff Anderson tasked Stuart with researching a solution to bring peace of mind to the county’s older population and their families. One hurdle emerged: Cost. As a rural law enforcement agency, they didn’t have unlimited funds, Majeski said. Nonetheless, they found a way to add a system without having to invest additional dollars. The office was revamping its emergency reverse-911 system, used mainly for wildfires. The new contract provided an opportunity to incorporate the welfare check program during the revamp, Majeski said. The new check-up system employs a telephone messaging service that stores the subscriber’s name, phone number, address, emergency contact information and call times. 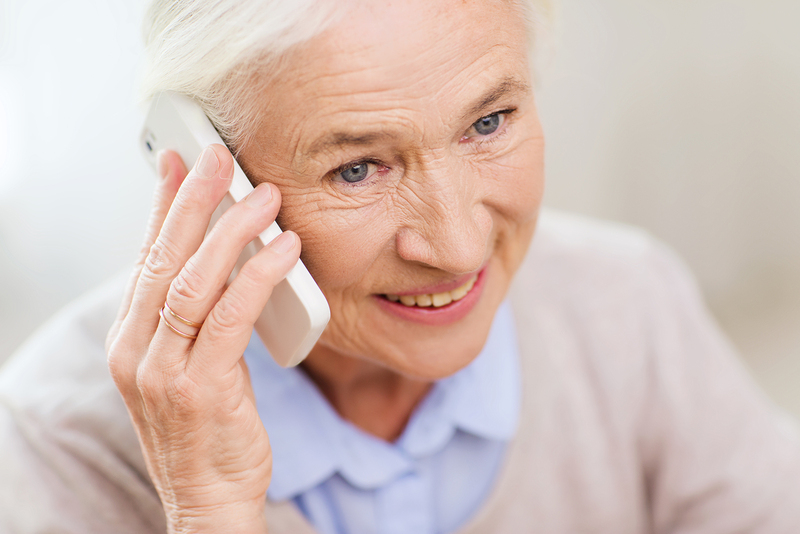 The service is free and provides daily contact when the subscriber receives a pre-recorded message on their home phone. They can select when they want to be called and how often. Here’s how it works: When a subscriber receives the call, they are instructed to touch the #1 button on their phone if they’re fine or the #2 button if they need emergency assistance. If they hit the #2 button, they are connected to the Sheriff’s Communications Center. If someone does not answer, a volunteer, a member of the county’s “Citizen on Patrol” is sent to the home. Deputies can also step in, if required. Residents can choose to be called at 9 a.m. or 4 p.m. Most opt for the morning call. “Elder Orphans” was a semi-finalist, December 2015, in the Harvard Kennedy School’s Ash Center for Democratic Governance and Innovation.